Breakfast or dinner? YOU decide! Pre-heat your oven to 425 Fahrenheit. In a mixing bowl, whisk eggs, almond milk and seasoning together. Next, lightly line an 8 inch oven safe dish with a layer of coconut oil. Add all chopped & diced vegetables to the bottom of the dish then pour liquid mixture over the vegetables and sprinkle with cheese. 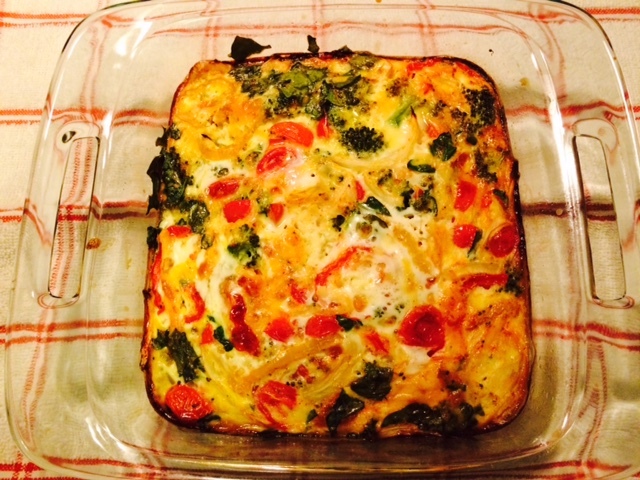 Transfer the dish into your oven and bake for 30-40 minutes or until the center of the frittata is nice, fluffy and gloden brown. 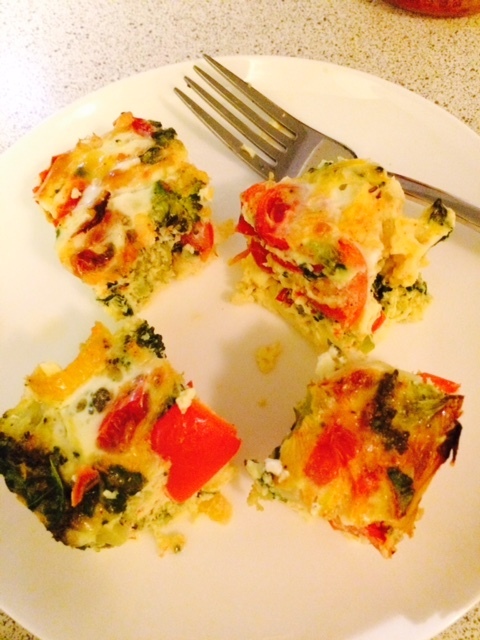 Allow frittata to cool for a couple of minutes then cut into 6-8 squares.